There are five ships in the game. 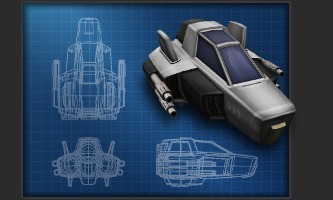 All of the ships have the same basic equipment, controls, weapons, and flight mechanics, but they vary in size, speed, agility, and strength. While some ships may be better suited to certain strategic roles than others, in a simple dogfight, victory is often determined not by what ship you fly, but by how well you fly it. What your strengths or weaknesses are is less important than how effectively you leverage your strengths and compensate for your weaknesses. Therefor you should choose the ship that plays to your strengths as a pilot, and learn to pilot it in a way that plays to the strengths of the ship. The Sparrow is an compact, ultra-light fighter. 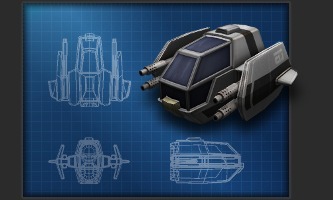 The smallest and lightest ship in the fleet, the Sparrow offers extreme maneuverability at the cost of armor and shield strength. The combination of superior agility and small size can make a Sparrow a very difficult target to hit in the hands of an experienced pilot, but the light armor and weak shields means that it can't take very many hits. The Stiletto is a fast ship, boasting the highest top speed of any ship in the fleet. While heavier than the Sparrow, the Stiletto remains respectably maneuverable thanks to relatively light armor and strong engines. The combination of speed and agility gives the Stiletto an advantage in wide open spaces, but the limited weapon payload and mediocre armor means the Stiletto pilot must often resort to hit-and-run tactics to stay alive. The Orion's greatest strength is its lack of weakness. 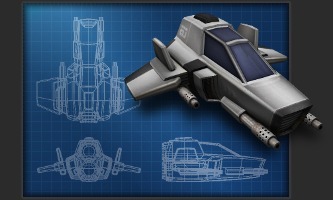 With smaller engines and heavier armor than the Stiletto, the Orion is designed to strike a balance with a moderate top speed, moderate agility, moderate payload, and moderate shield and armor strength. This ship does not excel in any category, but nor does it have any serious deficiencies, making it a safe and suitable choice for any situation. The Griffin is both fast and strong. 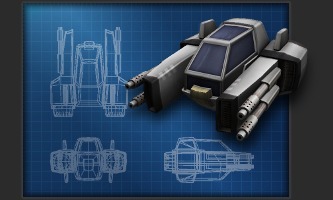 With three engines and heavy armor, this is a formidable fighter, but not without compromise. Durability and a respectable weapon payload capacity give the Griffin good staying power in protracted combat. But, while this ship's top speed is second only to the Stiletto, this ship suffers from noticeably poor maneuverability. The Hydra is a brute. By far the heaviest and toughest in the fleet, this ship puts strength and payload above all else. The Hydra's maneuverability is very poor and its top speed is merely adequate, but it makes up for these shortcomings with substantially superior shields and armor. 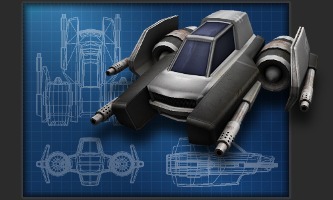 Large and slow, this ship may be an easy target to hit, but can be quite difficult to kill.